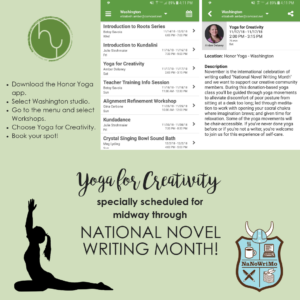 Yoga for Creativity to Celebrate NaNoWriMo! 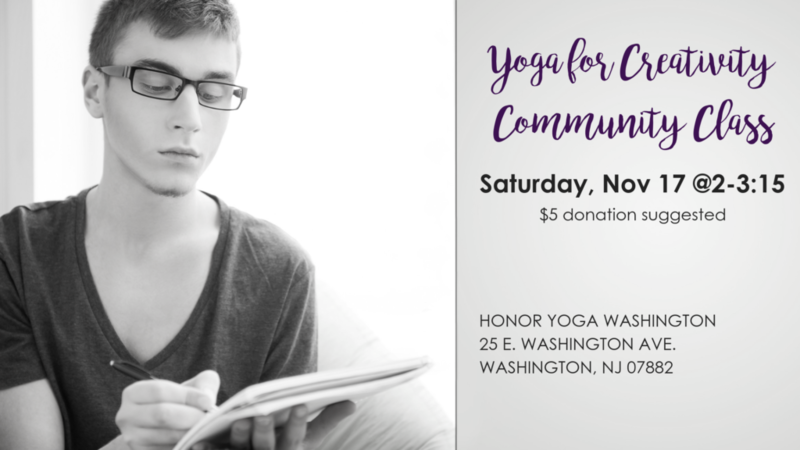 I’m so pleased to announce that HONOR YOGA in Washington, New Jersey has agreed to graciously host a community yoga event for this Saturday, November 17 at 2PM. When you see the phrase “Community Yoga” that may seem vague. Isn’t all yoga community yoga? Well, yes, it is. The particular usage when you see it like this as an event is usually a sign that there’s a change in the rates for the class. It’s to make a community feel like there’s a welcome opportunity to get to see what yoga is like if they’ve never tried and to get to know a studio or teacher. For this instance, it is a donation-based rate which means you can pay whatever you want. I worked with the managers and we thought a suggested donation of $5 was fair. Washington has free parking on the street and in a couple of lots nearby. You don’t have to walk far. The studio is located on the main street at 25 East Washington Ave (which is also Route 57). 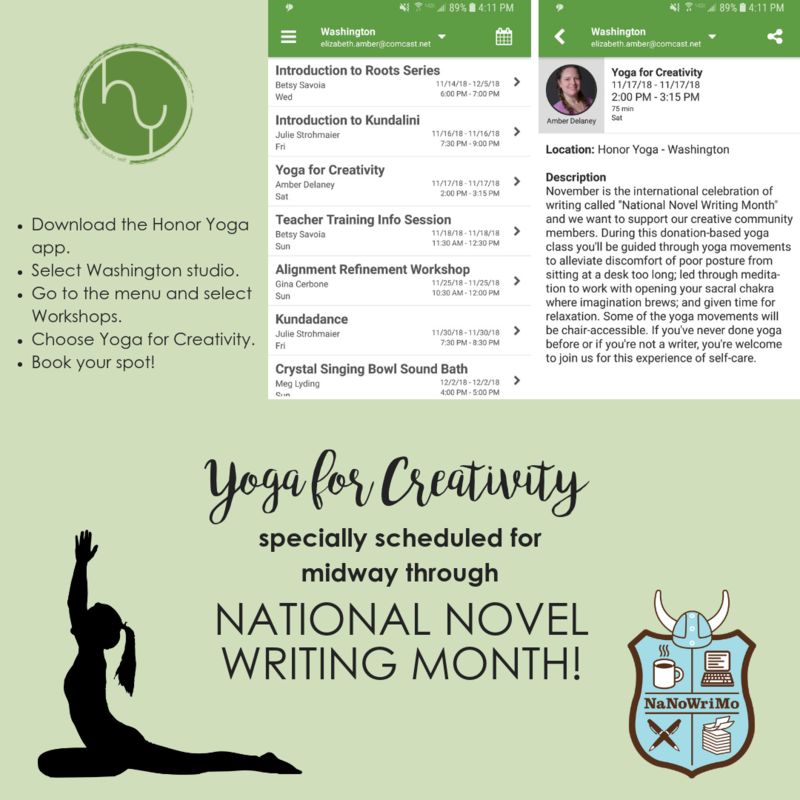 With November being the international celebration of writing called “National Novel Writing Month”, we want to support our creative community members with this donation-based yoga class. You’ll be guided through yoga movements to alleviate discomfort of poor posture from sitting at a desk too long; led through meditation to work with opening your sacral chakra where imagination brews; and given time for relaxation. Some of the yoga movements will be chair-accessible. If you’ve never done yoga before or if you’re not a writer, you’re welcome to join us for this experience of self care. Bring along a journal (paper or digital, we have wifi) and we’ll use the last few minutes to write down about our experience. Please pre-register using the Honor Yoga app through your app store. Select Washington as the studio location. Click the menu navigation and go to Workshops. Find Yoga for Creativity and book your reservation! 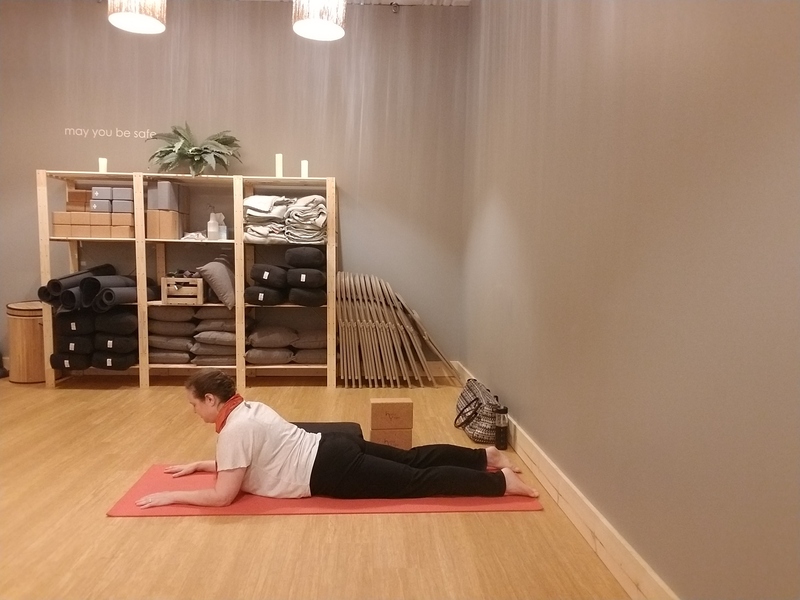 Honor Yoga is stocked with mats, blocks, straps, blankets, and pillows. If you have your own mat, feel free to bring it. A refillable bottle of water or thermos. There’s a water cooler with hot and cold water and a small tea selection. Wear comfortable clothing. Shoes and (silenced) phones are left in the lobby/retail area. If you want to utilize your phone for staged pictures after the class, you can. The studio temperature varies from one end of the building to the other. The studio we’ll be using for this class is usually around 68-70º. 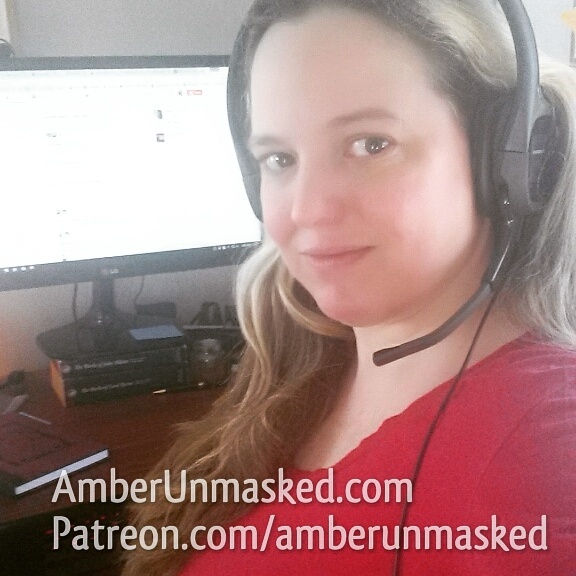 If you want to add it to your Facebook calendar, there’s an event page. Honor Yoga tries to be as eco-friendly and paper-free as possible. The restrooms have hand towels instead of paper towels or air dryers.